Take the ASA Cares pledge today to show your support for social responsibility. Be a social responsibility champion in my company and inspire others to make a positive impact in their communities. Contribute to the dialogue on social responsibility on ASA Central. Company without a social responsibility program: Take steps to encourage the development of a program in my company in 2017. *As an ongoing effort, ASA will collect social responsibility success stories and associated impacts for member educational and public relations purposes. 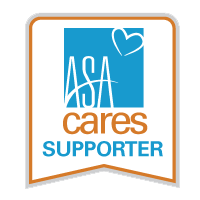 If you have any questions about the ASA Cares Pledge, email ASACa***@americanstaffing.net.